Reliance Broadband is one of the leading private DSL connections in India. Usually, they supply a modem which will be configured by Reliance technician at your place, and you do not need to worry about the setup procedure. However, there are instances where you may need to reset the modem or change any default settings by yourself. You will face connectivity issues if you do not know how to set up Reliance DSL modem after having manual changes. Here I provide you the guidelines to configure every Reliance Broadband Modem models by yourself. This article provides step by step guidelines to set up Reliance DSL broadband modem by your self. Though I have added screenshots in this tutorial, you should note that different modem models have different user interfaces. You should connect the LAN port of the Modem to a computer using an Ethernet cable (RJ45) and make sure the power light on Reliance modem is steady. Find the Login IP address of Reliance modem by following the steps mentioned in the link below. Type the login IP address (in most modem versions it is 192.168.1.1) on the address bar of your browser and press enter. 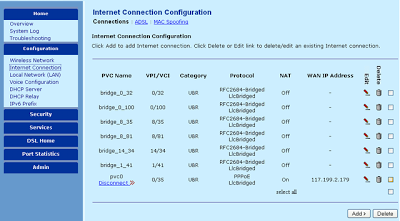 Create new Connection: You can see a button names create or add to create new Internet connection for Reliance DSL broadband connection. Now enter the following values. Leave other values default unless you are instructed by Reliance DSL team otherwise. Click next to continue. Configure Reliance modem in PPPoE mode: In most cases, Reliance will give your username and password. You need to configure your DSL modem in PPPoE to enable the Internet on multiple computers. 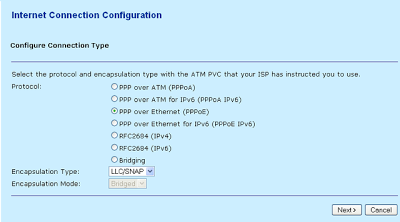 So select the option PPP over Ethernet (PPPoE) and click next. Click on Obtain an IP address automatically. Make sure you have checked the check boxes of Enable NAT and Add Default Route. Click next to continue. 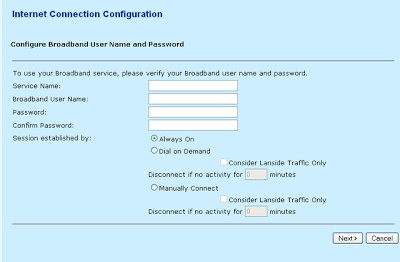 Enter username and password provided by Reliance DSL broadband and make sure Always on radio button is selected. You might need to reboot the modem by clicking the Reboot from the last button under the Admin tab. Reboot process may take one minute and wait till power light, DSL light are steady. Just like how we configure Reliance DSL modem, if you are looking for step by step instructions to setup BSNL modem, follow the steps mentions in the link below. I would like to know if the steps to configure reliance modem are same for all modem versions ? Well , is there any way to use Asianet modem to connect Reliance broadband ? I have been using Asianet DataLine for my home Internet but now shifting to different location. I purchased the modem offered by Asianet DataLine service. so I can keep it with me. I wonder if the same modem can be used to Connect Reliance cable broadband ? BTW which is faster Asianet Internet or Reliance Internet ? Hope I am not disturbing you. 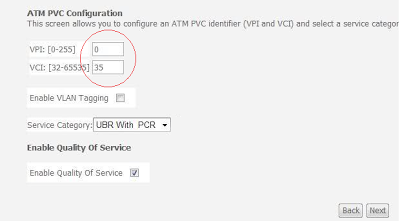 The configuration step provided in the article is general for all modem versions provided by Reliance broadband. If your Asianet modem supports PPPoE configuration, you can use the modem for Reliance broadband. Speed of Internet service can vary with plans and it is difficult to say about Speed difference between Asianet Internet and Reliance Internet. How can I recharge for reliance broadband ? Also like to know reliance broadband internet plans. Any free offers at this time? How much does a DSL modem cost in India? Is D-link low cost modem ? Can you tell me how to switch on and setup wifi in reliance modem? reliance broadband wired connection ? Is Reliance modem Wi-Fi enabled? belive me it was very simple. < href=http://yourbillbuddy.com/usb-modem/Reliance-Usb-Modem >Reliance Modem <>offers surfing and downloading speeds upto 3.2 Mbps, are extremely small and handy, and also support Micro SD Memory Cards to double up as USB data storage devices. Reliance offers its both post paid and pre paid customers a large number of facilities like good speed, wide network coverage, quick customer assistance, complaint handling etc. If you have changed the modem login IP address, following link will help you to find it. I have a Reliance Wired Broadband Connection. Can anybody tell me that, which brand of Router can work best for Reliance Broadband??? Do you have Reliance modem already ? Before planning to buy a router for your reliance connection you must consider your needs. How fast wireless network you need ? How many computers you want to connect etc. If it is for business needs I recommend you to go for business class routers. I am trying to connect with my tpsl adsl wifi modem, the pppoe is always down. but when i connect the supplied modem, it works fine. here is the ip details i get from my old modem. the subnet is not as the default 255.255.255.0 what should i do ? Can i use same config to setup my d-link adsl2+ wifi router ? Can you tell us the model number of the modem and your ISP ? I am not able to access the settings page of my Binatone DT815 Reliance BB Modem, I tried all the combinations. I tried to replace the reliance modem with cisco modem+router but it is not working. I heard that reliance BB needs some special configurations in the modem to be worked. Do you mean the login IP is not allowing you to enter the Reliance modem setup page or the username and the password ? Brilliant post. really fantastic. Nice information you have shared and clear writing..
thats it, Finished!! You will see green led light on.. Enjoy!!! Thanks Arun for your steps.